Andrew G. Mortensen, DDS, Inc.
At Andrew G. Mortensen, DDS, Inc., serving the Fountain Valley, CA area, Dr. Andrew Mortensen offers Electronic Dental Anesthesia (EDA) to help greatly reduce the sensation of an injection. The EDA is a battery-operated device that sends mild electrical impulses through a finger pad that Dr. Mortensen holds against the tissue surrounding your tooth. This produces a pulsating, tingling sensation which effectively masks the discomfort of an injection. Andrew G. Mortensen, DDS, Inc. is a trusted Fountain Valley area NTI-tss plus provider. Our highly-trained team fit you with a custom bite guard designed to relieve headaches and migraines caused by jaw clenching during sleep. If you're concerned about dental treatments, soothing nitrous oxide (laughing gas) is one of a number of options available at Andrew G. Mortensen, DDS, Inc. to help reduce your dental anxiety. Fountain Valley, California, area dentist, Dr. Mortensen, wants your dental visit to be as comfortable as possible. Our patients tell us they feel fortunate to have Fountain Valley area braces dentist Dr. Mortensen providing them with Six Month Braces®. He will carefully examine your mouth, jaws and bite to make sure they're the right option for you. If you are missing one or more teeth, you'll want to talk with Fountain Valley area dental implant dentist Dr. Andrew Mortensen about replacements that look and feel as natural as your own teeth. 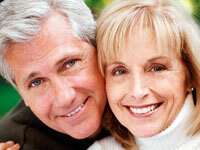 If dentures are causing you problems, you may consider dental implants. Unlike dentures, which can be removed, Dr. Mortensen offers dental implants that are permanently anchored into the jaw itself. 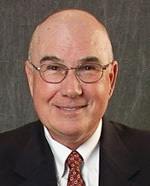 Request an Appointment With Andrew G. Mortensen, DDS, Inc.
All dental implants are not the same. Depending on how big the implant itself is, it will be classified as either a standard dental implant or a mini dental implant (sometimes called a denture implant). Regardless of size, they are all titanium implants that fuse to the patient's jawbone and form the base for replacement teeth. Two out of three dentists offer dental implant therapy, found a recent survey. One out of five think that regular dental implants are always better than mini dental implants. However, the majority of dentists think mini tooth implants are good for a variety of patients. A mini implant is smaller and thinner than a regular dental implant. In addition, mini tooth implants are also considerably more affordable. The mini dental implant surgery is also less invasive, takes less time, and heals faster. "Mini implants have worked very well for my patients because of their low cost and immediate loading," said one dentist. One way dental implant dentists and prosthodontists use mini implants is to help denture patients. When a patient's dentures don't stay put, the lower denture can be stabilized with mini dental implants; this is known as denture stabilization. The bottom denture will then snap onto the implants, offering better support and retention. Mini dental implant surgery can appeal to patients since mini dental implants cost less. "They make dental implants affordable for many," declared one dentist. "There is seldom an occasion anymore when I can't replace traditional implants therapy with minis," raved another. "I'm so thankful I can now offer a less expensive alternative that still brings a lot of joy to those patients that receive them." Mini dental implant therapy works well for some patients, but it is not for everybody. "Mini implants are good for patients who don't want or can tolerate regular implants, but failure rates are higher with these minis," said an Arizona dentist. A patient's dental implant dentist or prosthodontist can help determine the best course of action. If dental implants are what you need to replace your missing teeth, you should select an implant dentist with in-depth knowledge of, and prior experience with all aspects of the treatment. It is important to know that treatment with tooth implants consists of two components: a surgical phase and a restorative phase. Traditionally, a dental surgeon, like an oral surgeon or a periodontist, performs the surgical component. A general dentist, or prosthodontist and laboratory technician, performs the restorative component. As dental implant dentistry has become more sophisticated, the restorative dentist, at times, also has become the one that places the dental implants. However, each clinician involved in implant treatment must be aware that the type of final restoration a patient wants dictates the position, size, and number of the tooth implants within the jaws. What Types of Dental Implants Are There? For each unique missing tooth situation, there is an equally unique way to use dental implants for tooth replacement. However, all of the treatments can be placed in two categories: removable or fixed prostheses. 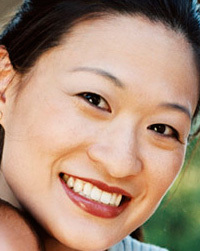 Implant dentists use removable implant dentures when a patient is missing all of their teeth. Fewer tooth implants are necessary when used in conjunction with a removable denture. Conversely, more dental implants are necessary when used in conjunction with a fixed bridge. Fixed bridges feel most like your natural teeth and are usually more desirable than removable dentures. Mastering new surgical and restorative techniques as they are developed is the mark of an excellent tooth implant dentist as well as overall implant dentistry. An implant dentist's meticulous attention to fine detail conveys a feeling of confidence to the patient. The dentist should be committed to restoring full function to the missing teeth as well as recreating natural-looking teeth. These are the qualities a patient should look for in an implant dentist.